Planning a road trip? Make it the best with these expert road trip tips. From vehicle prep to money saving tips, make it the best trip ever. Road trips are a fun and affordable way to visit new places. For a lot of us, it might be our first taste of travel and that sense of freedom we all crave. Sometimes it’s not even about the destination, rather it’s about freedom and letting the destination find you. Perhaps you are taking your first road trip. Or perhaps you are looking to perfect the art of the road trip. Let’s have a look at some of my favorite road trip tips. Picking your route and destinations can be almost as fun as the trip itself. I love nothing more than a cup of coffee, a US Road Atlas, and my computer to explore all the amazing places this world has to offer. Perhaps your trip will be based around history or exploring national parks. Or maybe you’re after a specific outdoor activity like rock climbing or biking. Regardless of what you’re into, Pinterest is the place to find great ideas for travel. What about Google? While Google has its place I honestly think Pinterest is better for trip planning. If you haven’t tried Pinterest it’s worth a look. While I love technology I do still prefer a good old paper US Atlas to help me navigate. A lot of people prefer to map everything out on something like Google Maps so give both a try and see what works better for you. While driving I use my phone and Google maps. Fumbling with a paper map or written directions isn’t safe while driving so don’t do it. Deciding on how many miles to crank out in a day is a very personal choice and will depend largely on how much time you have. I prefer to keep the mileage down and I do my best to avoid Interstate when possible. The small towns of America are what makes this country great and you’ll blow right by them if you’re on the Interstate. Once you pick your destinations I encourage you to take at least a few breaks from the Interstate. I promise it will be worth it. Accommodations tend to be the biggest cost of a road trip so here are a few tips to keep costs down. Couchsurfing is a service that connects locals with travelers like yourself offering up a free place to crash. Not only will it save you money but you’ll get the local knowledge to experience the area in a better way. It’s a great way to meet cool people while saving money at the same time. While it is free, giving your host a thoughtful gift is a nice touch. Airbnb isn’t just for long-term rentals. You can often find accommodations that are equal to or even less than hotels in the area. You’ll have access to a kitchen and find yourself in a nice home that I find much more enjoyable than a hotel. It’s a great way to save a little money on food expenses and prepare some food for the next leg of your road trip. We don’t often think of Hostels when traveling in the states. But for a stay over in some of the bigger cities they are plentiful and a great option for meeting fellow travelers and saving money at the same time. 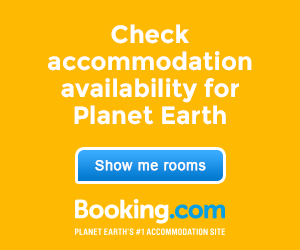 Head over to Hostel World to see what’s available. Last but certainly not least, is camping. Hands down my favorite form of accommodations although not always viable in bigger cities. There are larger campground chains like KOA which offer a lot of amenities such as showers, hot tubs, and swimming pools. My favorite is Camp In My Garden. Here you connect with people who offer up their yard for you to camp in. There is usually a small fee but just like other social options it’s a great way to connect with a like-minded local. Don’t forget to treat yourself to some luxury every once in a while. Check out these luxurious Glamping destinations. A successful road trip depends heavily on having a reliable vehicle. Now that doesn’t mean you need some swanky brand new ride. I have had many successful road trips in absolute junk shows of cars. I did however make sure to keep the fluids and what not topped off. So let’s cover just a few basic items worth checking on your vehicle that anyone can do. If the thought of checking these yourself isn’t appealing, many quick-lube or tire shops like Les Schwab can help. They will often do these inspections for free or for a reasonable fee. Check Tires – Driving on underinflated tires can increase your chances of having a blowout and will hurt your gas mileage. Every car has different recommended tire pressures so check your owners manual. Check Your Lights – Headlights, turn signals, brake lights, and don’t forget the high beams and license plate light. Spare Tire – Make sure your spare tire is ready and know how to change a tire or have a plan such as AAA. Now we will cover a few things to check under the hood. This should all be done with the engine OFF of course. Your owners manual should give you the location of the following items. Worn Belts – Every vehicle is a bit different but toward the front of the engine will be a belt or two. Have a quick look at them for any cracks, frayed edges, or other signs of wear. Air Filter – Air filter locations will vary so take a look at your service manual for its specific location. Make sure it is relatively clean and free from debris. Now is a good time to look into AAA roadside assistance. They offer several different plans to fit your specific needs. From dead batteries, lockouts, flat tires, and a tow AAA can be a bargain when you need it most. In addition, they offer a ton of trip planning resources and discounts for camping, hotels, and RV parks. If you play your cards right you can often recoup most of the expense of AAA through these discounts. AAA also offers free travel maps to its members. They can be ordered online or picked up in person if you have a AAA store near you. The first and most important suggestion I have is good old situational awareness. Make it a point to be aware of what’s going on around you. Let’s say you spent the day outside a coffee shop in town. Had your van wide open showing it off to curious people. That evening you head out to a trail-head and notice a car and person you recognize from earlier that was parked down the street. Now it might be nothing but perhaps they are looking to break a window as soon as you head up the trail. This particular situation happened to me and it was pretty obvious this person was not at the trail-head for hike. Here are a few safety tips if you’ll be sleeping in your vehicle. Keep things out of site – I know it’s obvious but don’t leave valuables in view. We have a secret compartment that we built into the van to hide things like laptops. I know a few people who have gotten small safes that they bolt to the floor. Consider some pepper spray to keep handy should someone try and break in at night. Always know where your keys are and keep the drivers seat clear so you can make a quick getaway if needed. If we are planning to crash in the city we try to keep our nighttime parking separate from the daytime. During the day when you’re hanging out next to the park, a lot of people will get a look in your vehicle. This can expose your belongings to a bit more exposure than you might want. If you leave your vehicle there for a night on the town you’re more likely to experience a break in. Instead, drive to another part of town to park overnight and do your best to keep all your valuables under wrap by keeping the doors closed. Night spot – Pick a location that looks safe. Look for security cameras in the area. And don’t show up there till you’re ready for bed. If you want to hang out for a bit with the doors and lights on it’s best to do that somewhere else. The night spot should just be for sleeping. Blend in – We’ve been toying with the idea of getting some magnets made for our van that have some fake business like pest control on them. I can’t imagine too many people break into vans with pest control signage on them. Insurance – An important part of being prepared is having insurance that covers you. If you have nice bikes like we do, make sure they are covered against theft.